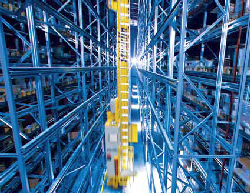 Professional Materials Handling can assist you with comprehensive consultation to find the optimum storage / retrieval solution for your company. 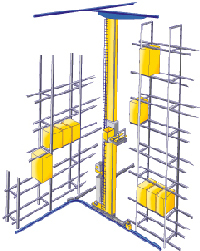 At times it may become economically feasible or from a storage design necessary to transfer a stacker crane from one aisle to the next. Aisle changing can be achieved via transfer system shown above left or aisle changing via rail switching as shown above right. 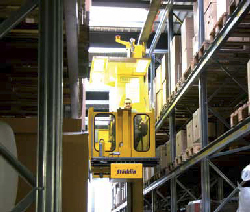 Whether your system is manually operated or automated we have a solution to suit your requirements.